﻿Last Saturday, we got the rare opportunity to snap a picture of three Midnight Freemasons regular contributors. The Lodge Greg Knott and I belong to, Ogden Lodge No. 754, sponsored its First Annual Masonic Charity Trail Run at beautiful Homer Lake, Illinois. We raised money for a local organization called The Developmental Services Center. Their mission is to enhance the lives of individuals with disabilities by providing services and supports which enable them to live, work, learn and participate in their communities--we felt their work tied right into the kinds of things our Lodge likes to support. Greg and I were there to help with our Lodge's event. Judy, and her husband Ray drove three hours to join us at the event and help out. And the event proved to be a tremendous success. We had a lot of help from several lodges (and spouses). Local Boy Scouts and Girl Scouts were on hand as well. Most people are familiar with Freemasonry's national charitable causes, like the Scottish Rite Learning Centers for Dyslexic Children, and the Shriner's Hospitals just to name two of many. But small Lodges like ours, Scottish Rite Valleys, York Rite Bodies, and local Shrine Clubs do events like this all the time to raise money for causes right in their own communities. I did a survey a few years ago to find out the kinds of things Masons support in their local communities. They raise money for scholarships, help Little League teams buy uniforms, refurbish aging park equipment, support the Girl Scouts and the Boy Scouts, hold benefits to help a family in need, and support veterans groups. . . the list is endless as are the ways in which these local Masons raise money. They hold pancake breakfasts, put on plays, organize concerts, sponsor golf outings, hold charity auctions, and even try new things--like organizing 5K runs. This work goes on all over the U.S. every day, and they wouldn't do it if they didn't believe that even in some small way, they are making the world a better place to live--and that often starts right where you live. 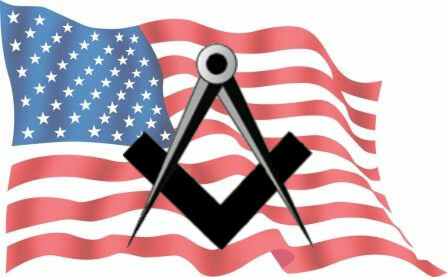 So I hope the next time you see a local Masonic group holding a charitable fundraiser, even if your not interested in attending the event, you'll think about dropping a check in the mail to them. They wouldn't be doing it if they didn't believe it was important. What local causes does your local Masonic group support? And how do you raise funds? Todd E. Creason, 33° was the original Midnight Freemason. He's the author of several books and novels, including his popular Famous American Freemasons series. 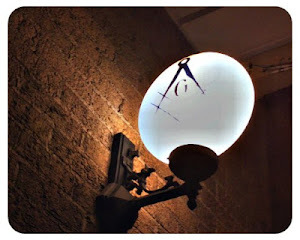 In 2012, Todd expanded his popular blog The Midnight Freemason into a collaborative effort Midnight Freemasons. Todd is the Past Master of Ogden Lodge No. 754 (IL), and a member of both the Scottish Rite, and York Rite. He's also a member of the Ansar Shrine (IL) and Charter President of the Illini High Twelve in Champaign-Urbana (IL). He is also the author of the blog From Labor To Refreshment . . .